D'Arcy Lewis was born in Western Australia and his love of starry nights began under the clear desert night skies of Kalgoorlie. Later, in the chilly winter night skies of Canberra, he also discovered the importance of a good pair of thermal underpants. 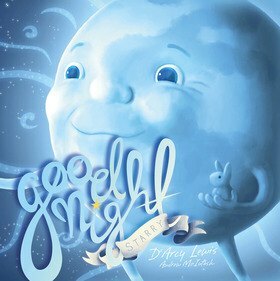 'Goodnight Starry' is his first children's story book, through which he hopes to share his curiosity and wonder about the solar system and universe with a new generation of stargazers. He lives in London with his understanding wife and three telescopes.